Exfoliative keratolysis is an excessive peeling of the skin on the palm of the hands and is sometimes called “focal palm peeling.” The condition is preceded by an outbreak of air-filled blisters across the fingers and palms, which may be caused by eczema. These blisters inevitably burst, causing the palm peeling. 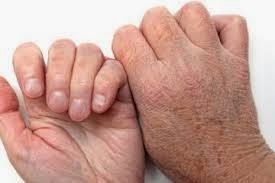 In some patients, exfoliative keratolysis is rougher on the tips of the fingers, leaving harder skin that takes longer to heal. The peeling of this condition typically does not include itching and can be further irritated by exposure to irritants such as soap and detergents. Treatment generally includes avoiding exposure to irritants and the usage of hand creams containing some combination of urea, lactid acid and silicone. In some cases, photochemotherapy, a type of ultravioletradiation therapy, may be used. Exfoliative keratolysis frequently reoccurs at least once. There are many causes for peeling palms, according to Dr. Lawrence E. Gibson, a dermatologist with the Mayo Clinic. They include: excessive sweating, very dry skin, fungal infections, sunburn and reactions to medications. In rare cases, peeling skin could also be a symptom of an illness called Kawasaki disease. 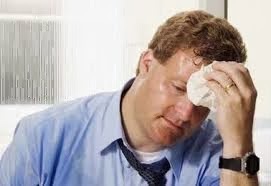 This condition, called hyperhidrosis, will make you sweat through your clothing for none of the common reasons, like anxiety, physical exercise or heat. You may even notice droplets of sweat forming on your palms frequently. Without adequate evaporation, moisture accumulates on your skin, causing it to peel. Allow air to circulate through your hands and fingers. In the winter, take your gloves off as soon as you’re indoors. If your work requires you to wear gloves, take them off often, or look for a pair made of breathable material. If this condition persists, consult a doctor. There are different causes for dry skin: the climate, constant exposure to a certain product, medication and health problems. If your skin is dry, has developed fine wrinkles or fissures that bleed, feels tight and looks rough, find out the cause. Try using natural, unscented soaps and lotions and wearing gloves when you wash dishes. If that doesn’t help, talk to a dermatologist. Ringworm refers to fungal infections affecting the surface of your skin. The fungus can infect the skin on different parts of your body, including your palms, causing rashes and peeling. Often, ringworm infections are confused with eczema. So it’s important you see a dermatologist, a doctor who specializes in skin conditions, to get the right diagnosis and treatment. This health condition affects children, especially those between the ages of 2 and 5. Scientists still don’t know for certain what causes Kawasaki disease, but some of the symptoms include peeling of the skin of hands and feet, high fever, swollen tongue and lymph nodes, diarrhea and vomiting. These signs appear in phases and often resolve themselves without any medical treatment. For a correct diagnosis, take your child to a pediatrician when symptoms begin.